Email newsletters are overlooked as an audience engagement channel by media outlets in the UK, found a report published today by Polis, the journalism think tank at the London School of Economics. Newsletters sent straight to readers' inboxes by individual journalists or news organisations have become a popular trend in recent years, making the most of a communication channel otherwise considered old-school. But while publishers in the US have taken full advantage of the opportunities email brings to the table, there's still room for more experiments in the UK, according to the report. The report, called 'Back to the Future – Email Newsletters as a Digital Channel for Journalism', was written by Swedish journalist Charlotte Fagerlund and was supported by Journalistfonden. Fagerlund interviewed journalists who work with email newsletters, looking to establish some best practices as well as the current opportunities on email. Charlie Beckett, director of Polis and one of the editors of the report, told Journalism.co.uk that while producing newsletters can be resource-intensive, they open a direct line of communication between a media organisation and its audience. "I am somewhat surprised that people aren't more enthusiastic. It seems to me that we're all really worried about having to do all our journalism dissemination through digital intermediaries like Facebook or Twitter, and here's an opportunity to reach our readers directly." Aside from providing an alternative to Facebook and Twitter, another advantage of email newsletters is reaching audiences on mobile, outlined the report. “A lot of people forget this when they think of mobile – they think of apps. But email is inherently mobile. Everyone has email on their smartphones, and email looks great on your phone because you’re so limited. You basically only have words, links and images, beyond that there’s not much else," said Millie Tran, editor of the BuzzFeed News newsletter, quoted in the report. 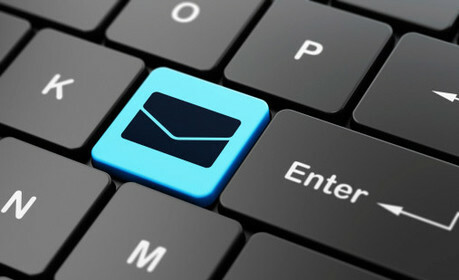 email readers can be a good target group for advertising. The number of email newsletters being sent out will continue to grow, Fagerlund predicted in the report – with the risk of also reaching a saturation point, which can already be seen in the United States. "But whereas the American market might be seeing too many newsletters being sent out already, the UK is not there yet," said Fagerlund in the report. Beckett pointed to projects like theSkimm, where the team created an entire business around an email newsletter. "Obviously they've got a bigger market to reach so perhaps they can experiment more, but perhaps it is a slightly more entrepreneurial approach in the States," he said.